Iowa recreational lakes have become a nutrient-rich soup in which blue-green algae thrives. The Iowa Environmental Council won’t say what I will: nutrient runoff from agriculture, and to a much lesser extent from home lawn applications, is a key ingredient in this toxic soup. Algae can produce microcystin bacteria, which is toxic to humans and animals, and is only intermittently monitored outside Iowa DNR beaches. That means people who participate in low-impact water sports, like canoeing and kayaking may not get sufficient warning of the presence of microcystin bacteria. While adventurers develop protective safety protocols for dealing with the unknown, the end result of recent warnings of elevated levels of bacteria was a scene where the homes of affluent locals looked on an abandoned beach on a brilliant summer day. DES MOINES– Summer is in full swing, and many Iowans are heading to the state’s lakes to swim, paddle, relax and cool off with family and friends. 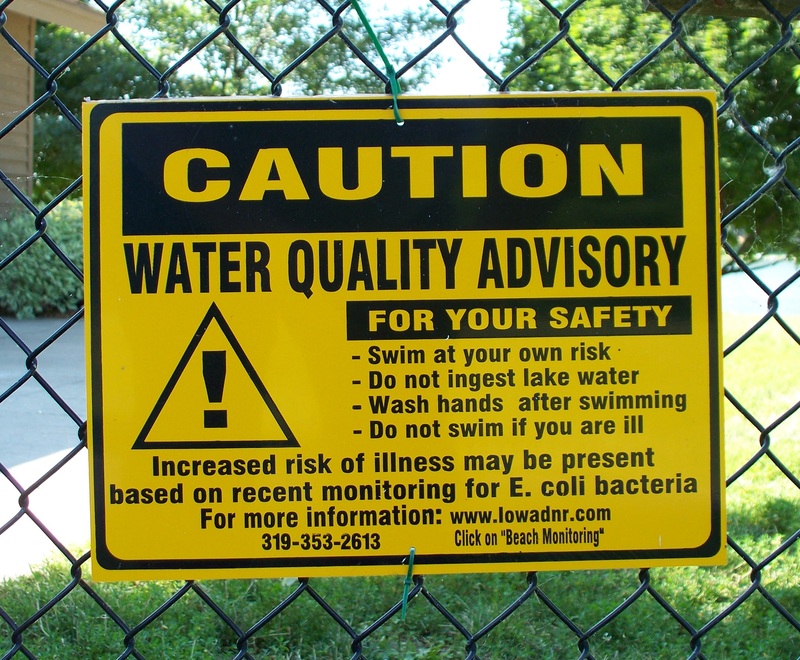 However, many Iowans are being greeted by an unwelcome sight at their favorite swimming spots: toxic blue-green algae blooms. This type of algae, caused by a combination of high levels of phosphorus pollution and increased temperatures can produce harmful microcystin toxins that can make people sick and be deadly for dogs, livestock and other animals. 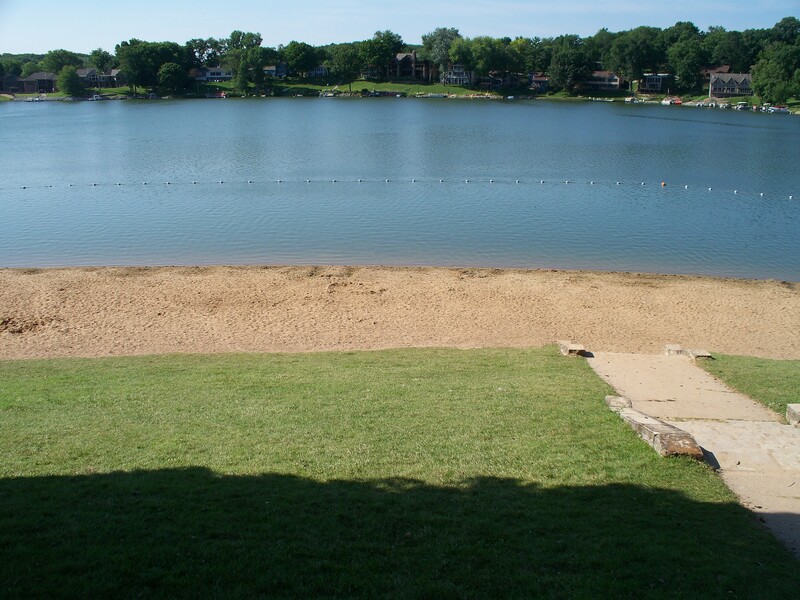 The Iowa Department of Natural Resources (DNR) has posted 14 swimming advisories cautioning Iowans to stay out of the water at 11 different State Park beaches so far this summer due to high microcystin levels. Independence Day weekend, one of the busiest outdoor recreation weekends of the year, the DNR posted microcystin warnings at five Iowa beaches – the worst week yet. Included on this summer’s list are Lake Darling, Pine Lake, Red Haw Lake and Twin Lake West beaches – all first-time toxic blue-green algae offenders. Toxic blue-green algae blooms create green, murky water, visible surface scum and a foul odor. The blooms can spread across the water but tend to accumulate in shoreline areas. Beach warnings are posted by the DNR when microcystin levels exceed 20 ug/liter, a guideline established by the World Health Organization. Contact with water at or above this level can result in breathing problems, upset stomach, skin reactions, and even liver damage. Inhaling water droplets containing toxic blue-green algae can cause runny eyes and nose, cough, sore throat, chest pain, asthma-like symptoms, or allergic reactions. After tracking microcystin poisoning cases in Iowa as part of a national pilot project, Iowa’s public health leaders recently announced plans to add “microcystin-toxin poisoning” to the list of conditions doctors must report to the Iowa Department of Public Health. The DNR monitors 39 State Park beaches for microcystin on a weekly basis between Memorial Day and Labor Day, issues advisories and posts warning signs when conditions are unsafe for swimming. The weekly beach advisories can be found on their website. Last summer, the DNR posted 22 beach warnings for high levels of microcystin during the recreational season. At this time, DNR only monitors State Park Beaches, so if you swim at other public or private beaches you need to be aware of the potential for toxic blue-green algae this time of year. Not all blue-green algae is toxic, but when in doubt, stay out of the water and call the DNR Beach Monitoring Hotline at 515-725-3434. If you think you or your pets may have been exposed to toxic blue-green algae, thoroughly wash it off with fresh water. If you or your pet are experiencing symptoms associated with high microcystin levels after suspected exposure, seek medical or veterinary care immediately. ~ The Iowa Environmental Council actively works in public policy to provide a safe, healthy environment for all Iowans. The Council focuses on public education and coalition building to give Iowans a voice on issues that affect their quality of life and to protect Iowa’s natural resources for current and future generations. For more information, visit iaenvironment.org. This entry was posted in Environment, Iowa Environmental Council and tagged Iowa Environmental Council, water quality. Bookmark the permalink.